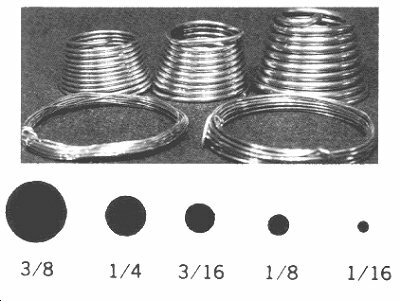 Aluminum Armature wire which is non-corrosive, lightweight, fully pliable, and non-staining. Comes in coils with wire width ranging from 1/16" to 3/8"
1/8" ... Figures up to 15"
3/16" ... Busts - Figures up to 24"
1/4" ... Busts - Figures up to 3"
* We can order these sizes for you. Our shipments usually arrive on Tuesdays and Thursdays around 11:00 am.